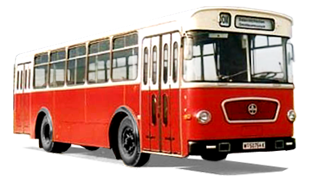 Gräf & Stift was an Austrian manufacturer of automobiles, trucks, buses and trolleybuses, from 1902 until 2001, latterly as a subsidiary of MAN. 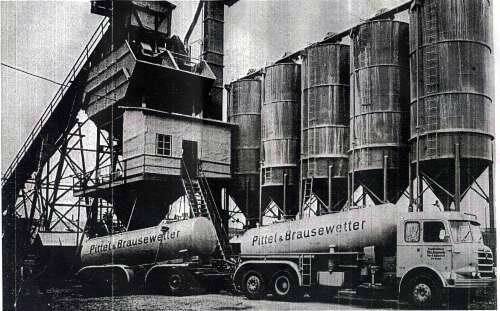 Founded in 1902 by the brothers Franz, Heinrich and Karl Gräf, and the investor, Wilhelm Stift. 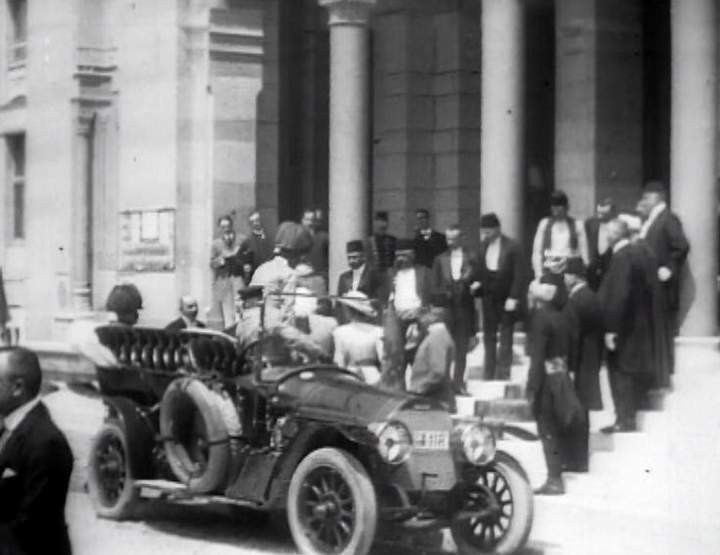 Before the Second World War, the company was a well-known manufacturer of luxury automobiles, including the one that famously took part in the Assassination of Archduke Franz Ferdinand. 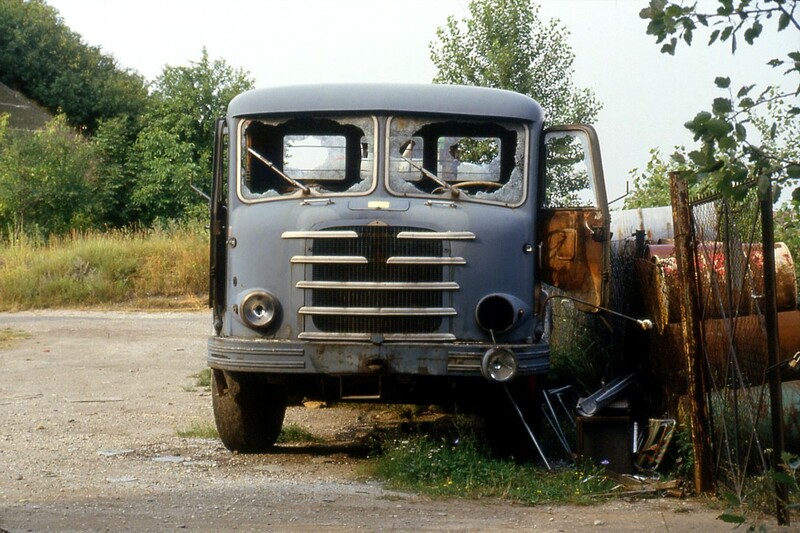 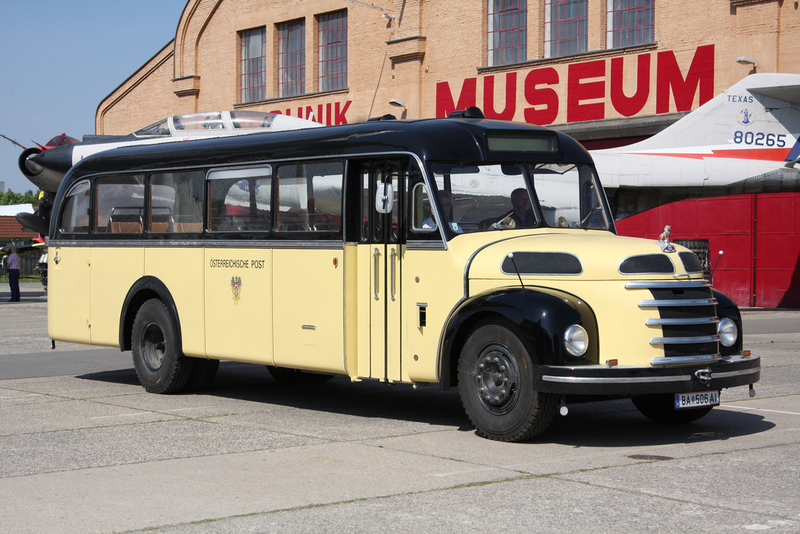 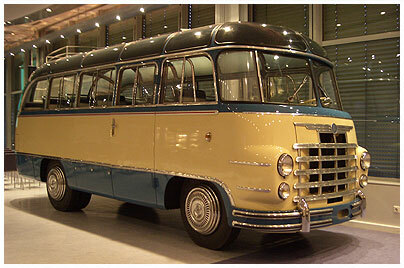 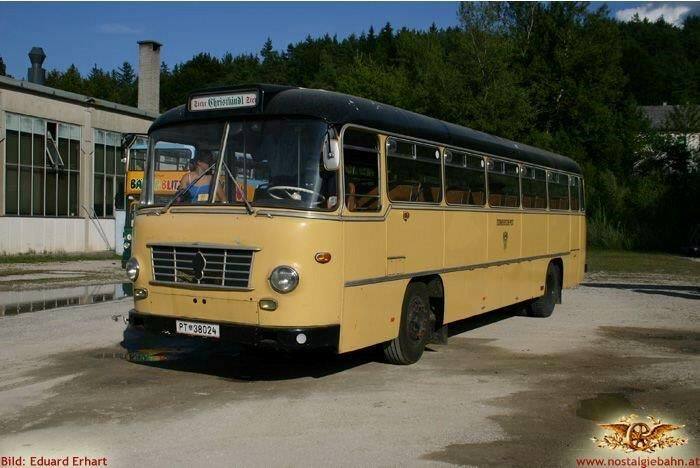 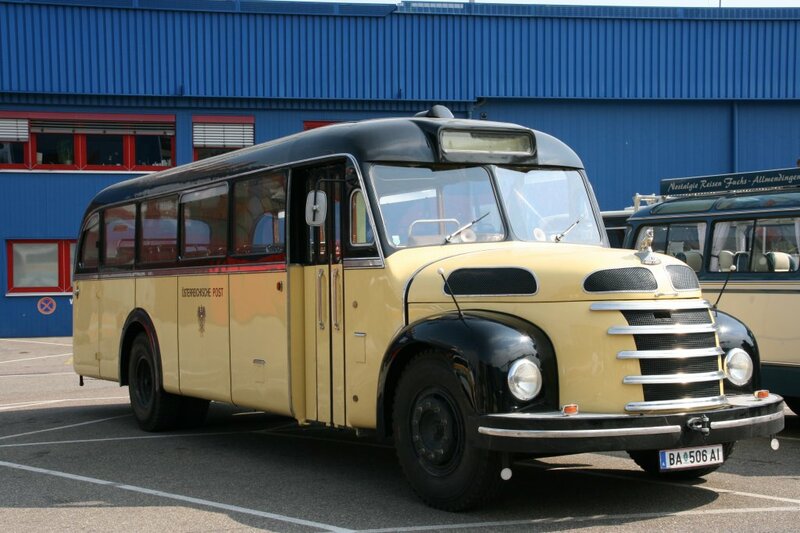 By the 1930s Gräf & Stift had begun making trucks and buses, and it ceased car manufacturing in 1938. 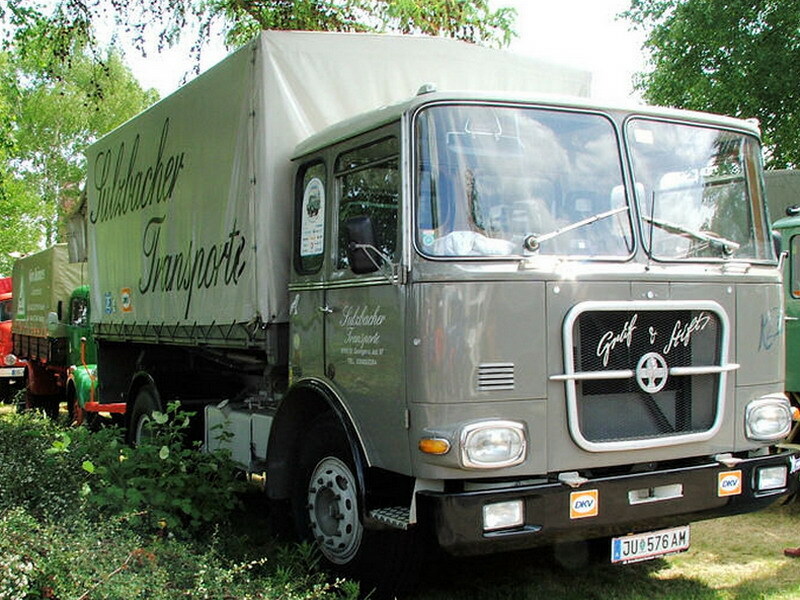 The company merged with Österreichische Automobil Fabriks-AG (ÖAF) in 1971, becoming ÖAF-Gräf & Stift AG, and later the same year was taken over by MAN AG. 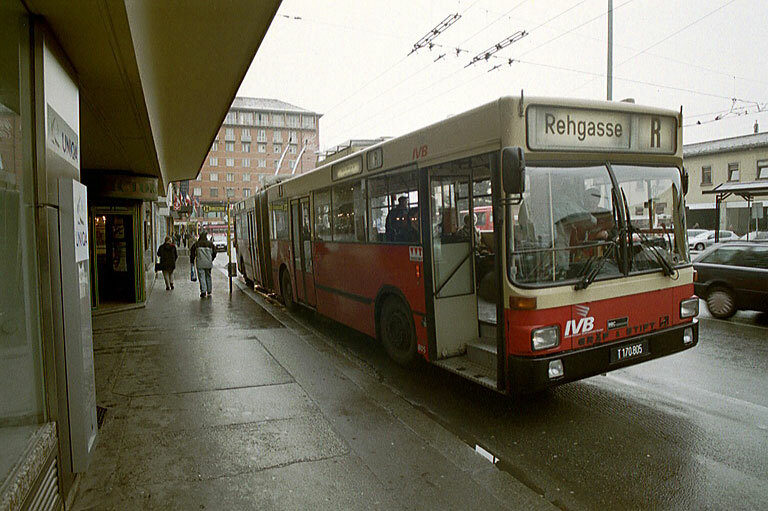 It continued in business as a subsidiary of MAN, and the Gräf & Stift name remained in use as an MAN brand for the Austrian market and for trolleybuses until 2001, when ÖAF-Gräf & Stift AG was renamed MAN Sonderfahrzeuge AG. 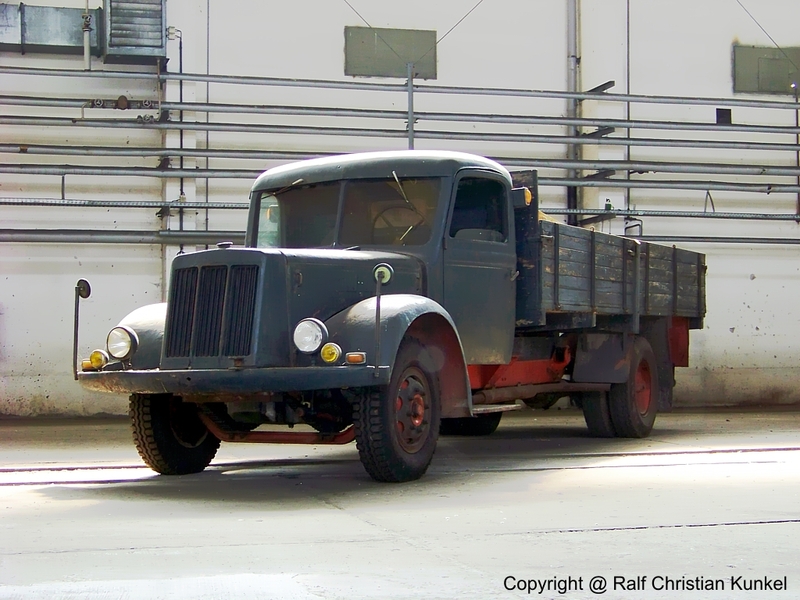 It was located in Vienna, and the production facilities continue in use there, but no longer using the Gräf & Stift name. 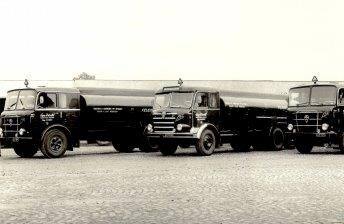 The Gräf brothers started a bicycle service workshop in Vienna in 1893, quickly branching out into bicycle manufacturing. 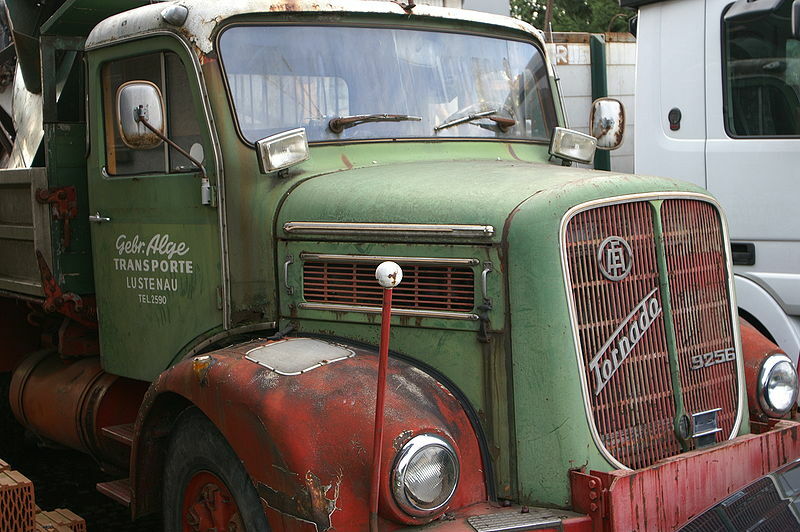 Their bicycles sold well, requiring the company to relocate to be able to increase capacity. 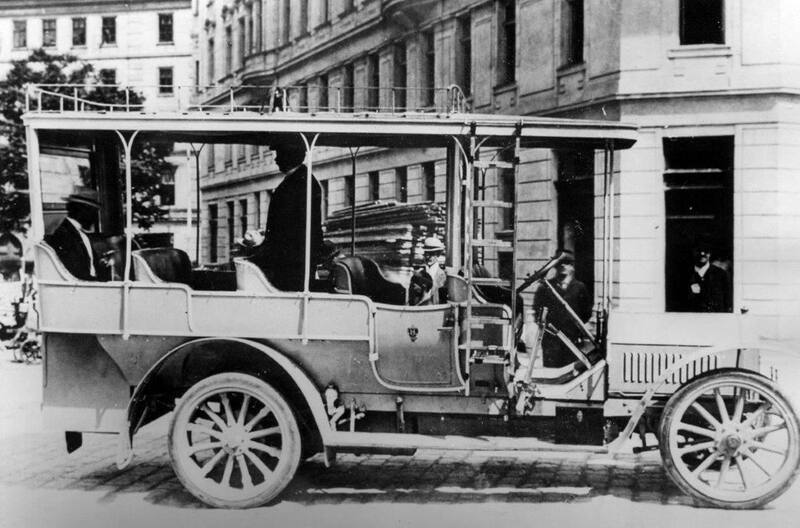 While the bicycle business in Europe was booming, the brothers also saw potential in the fledgling automobile, and commissioned Josef Kainz to design one. 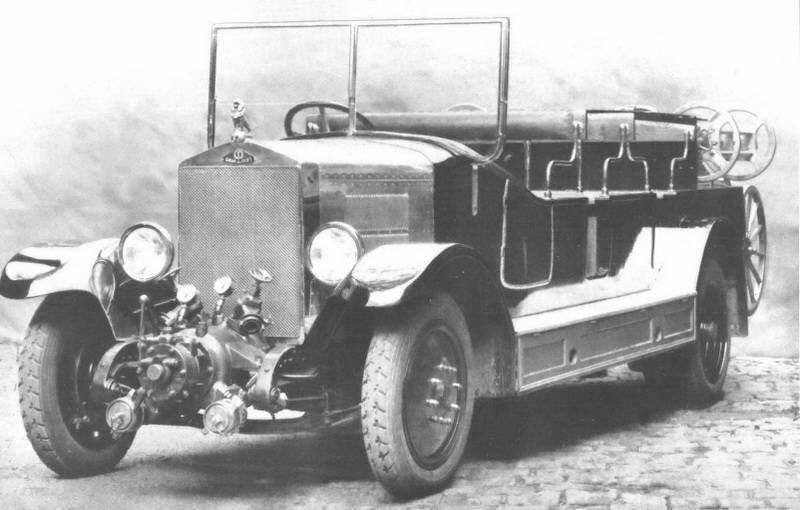 The result was an unusual voiturette with by a one-cylinder De Dion-Bouton engine fitted in front of the vehicle, powering the front axle, built sometime between 1895 and 1898, according to various sources. 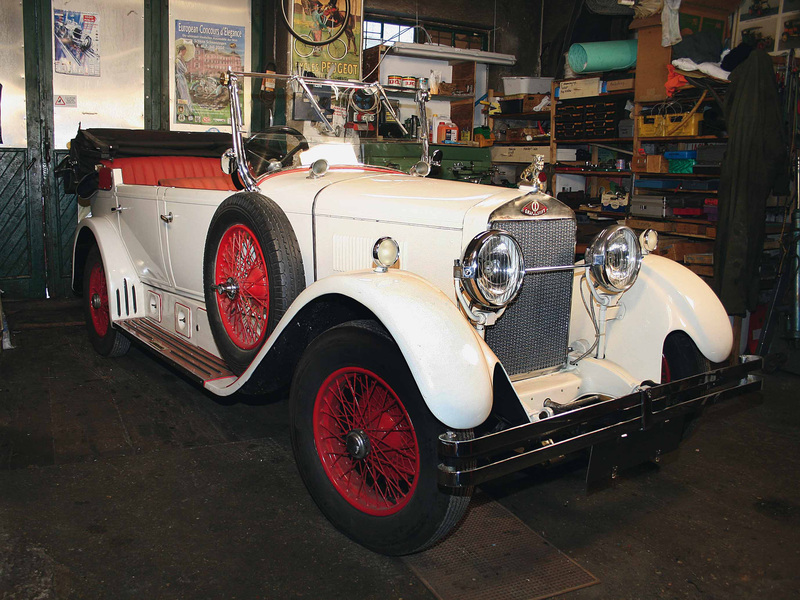 It was thus arguably the world’s first front-wheel drive automobile, but it never saw mass production, with only one copy ever made, even though the technology was eventually patented in 1900. 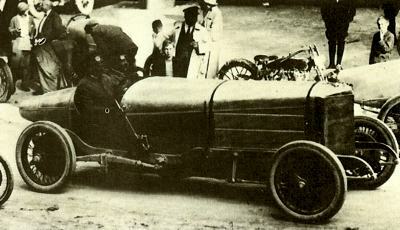 However, the voiturette remained in regular use until 1914 and was in working condition yet at the dawn of the 1970s. 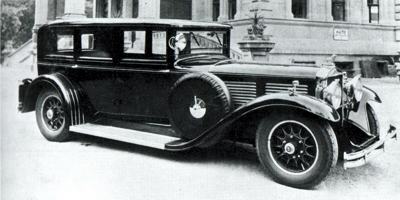 One of the Gräf & Stift luxury limousines, a Double Phaeton (engine no. 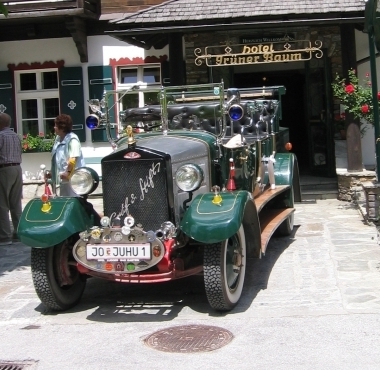 287), was bought by Count Franz von Harrach on 15 December 1910. 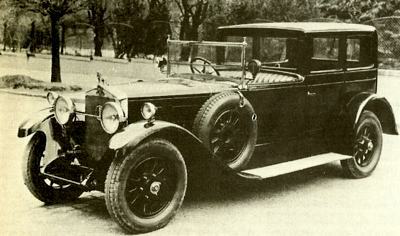 Harrach’s car was fitted with a four-cylinder engine delivering 32 PS. 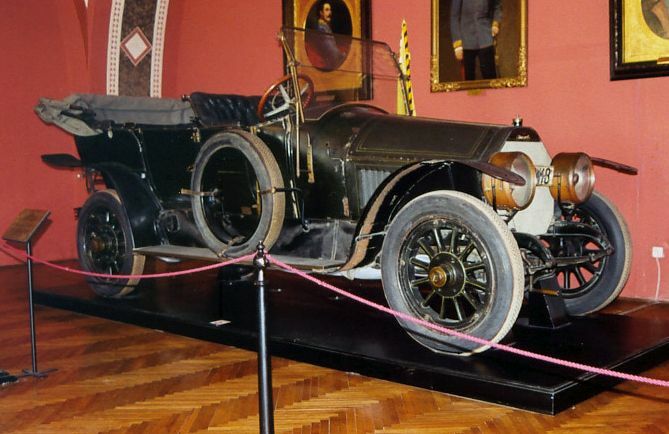 In 1914 in Sarajevo, the Archduke Franz Ferdinand of Austria and his wife rode together with Harrach in this car, whenGavrilo Princip assassinated the Archduke. 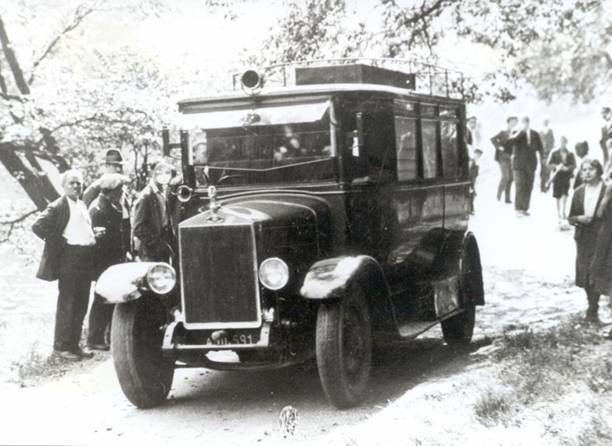 The assassination provoked a series of diplomatic manoeuvres that quickly led to declarations of war and the onset of the First World War. 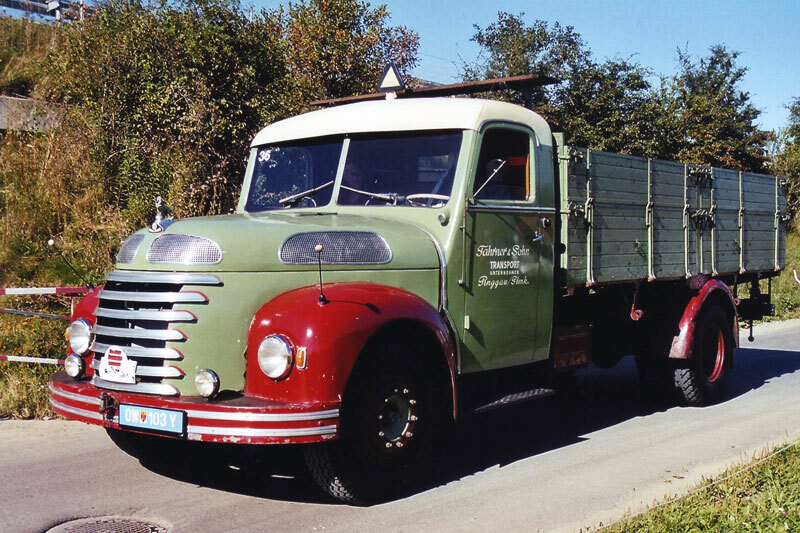 As the war broke out, Gräf & Stift started manufacturing trucks in order to meet wartime demand, which, together with buses and special vehicles, became the company’s main business and enabled it to flourish in a rather difficult time. 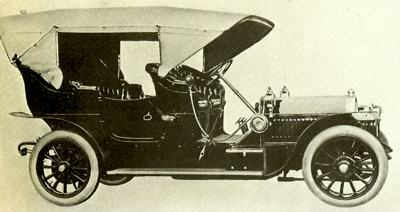 Manufacturing of passenger cars was resumed only in 1920, with a 2-litre intermediate-size model, Typ VK. 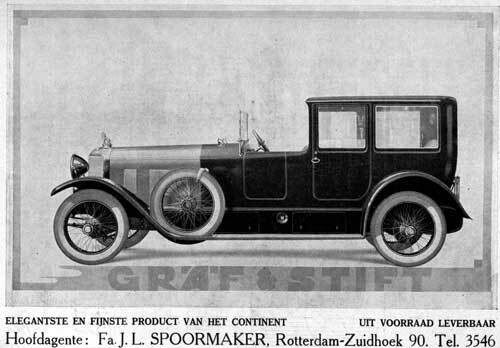 The VK remained in production until 1928 (since 1926 as the modernized VK 2), but already in 1921 Gräf & Stift returned to making luxury cars, with a range of large six-cylinder models available through the 1920s and early 1930s. 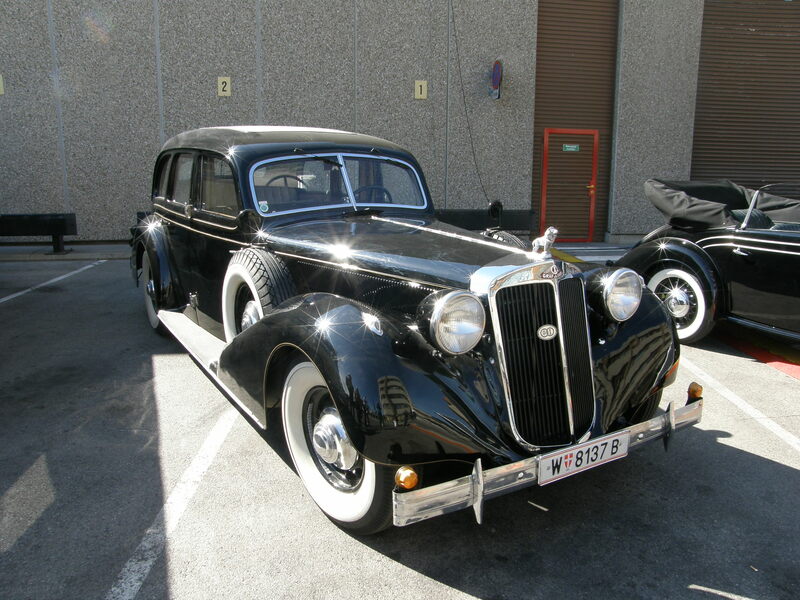 In 1930, the company presented its first eight-cylinder car, the sumptuous Typ Sp 8, in 1937 superseded by the Sp 9. 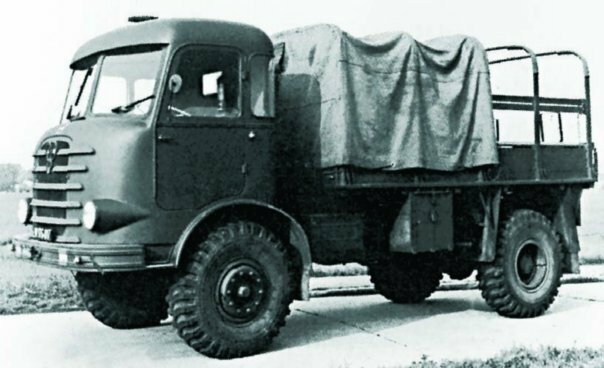 To acquire necessary volume to assure the profitability of carmaking business, Gräf & Stift also launched smaller models, badged G 35, G 36 and G 8, powered by a 4.6-litre eight-cylinder engine. 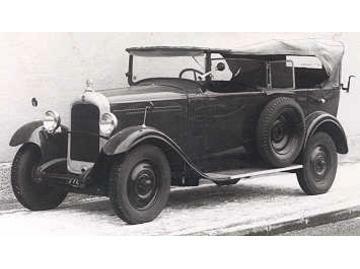 To cater for lower segments of the market, the company entered an agreement with Citroën, assembling one of the French automaker’s models as the MF 6 in 1935-36 (it had a 2.65-litre six-cylinder engine, with Gräf & Stift having had ceased the manufacturing of their own six-cylinders in 1935). 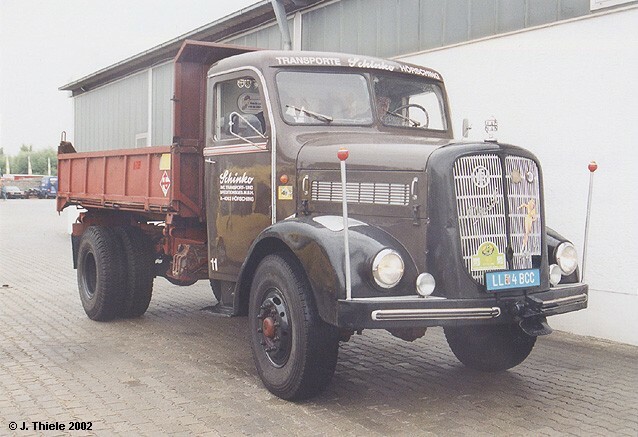 Later, a joint-venture was started with Ford of Cologne, which provided for eight-cylinder Ford-licensed vehicles, badged Gräf-Ford V8, to be assembled by Gräf & Stift. 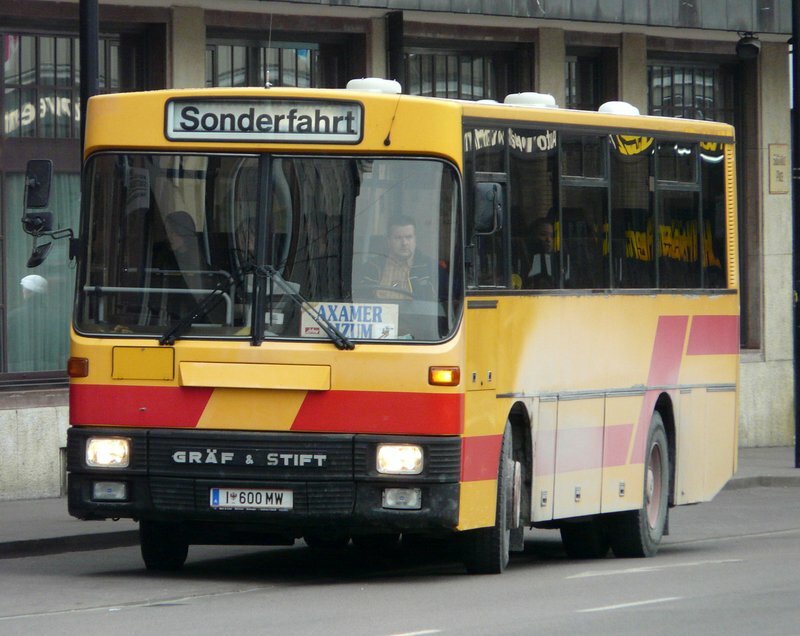 Neither of those ventures proved successful enough to assure the profitability of the passenger car business of Gräf & Stift, so the company decided to pull out of it. 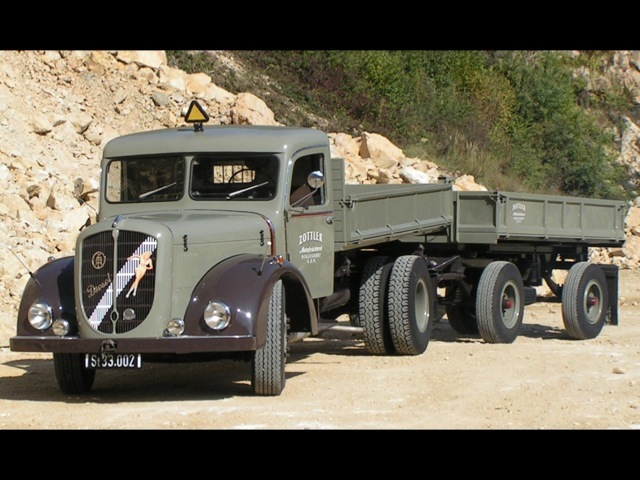 Its last own model was the rather modern C 12, fitted with a new twelve-cylinder engine, which was only made in very limited numbers in 1938, when the company ceased automobile production to concentrate on truck and bus manufacturing. 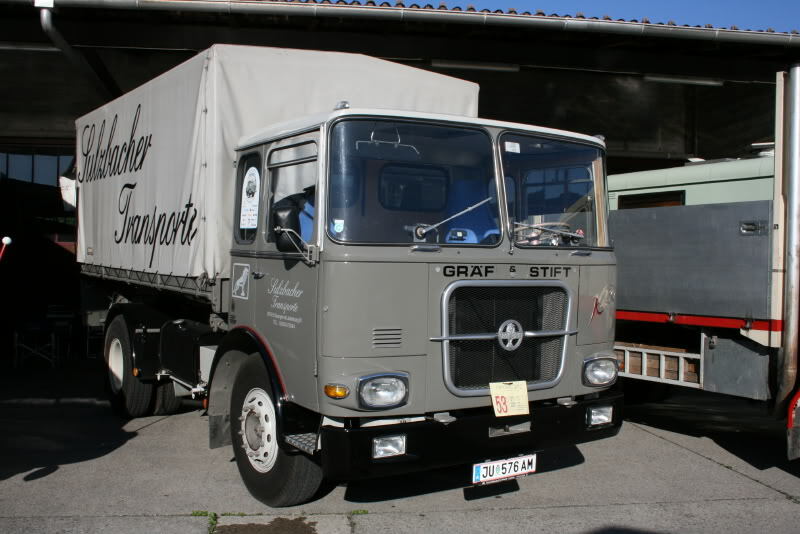 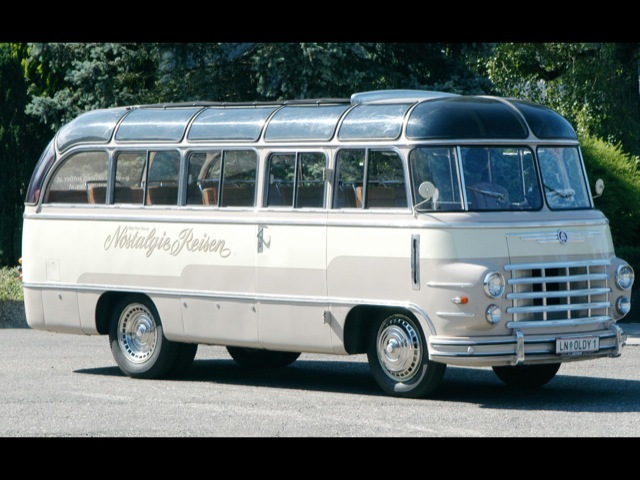 Gräf & Stift remained in the truck and bus manufacturing business after 1945, continuing as a family-owned enterprise, being run by members of the Gräf family. 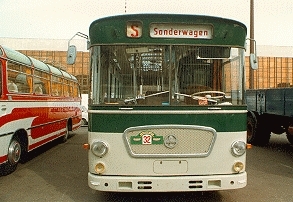 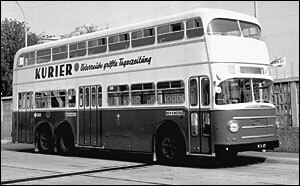 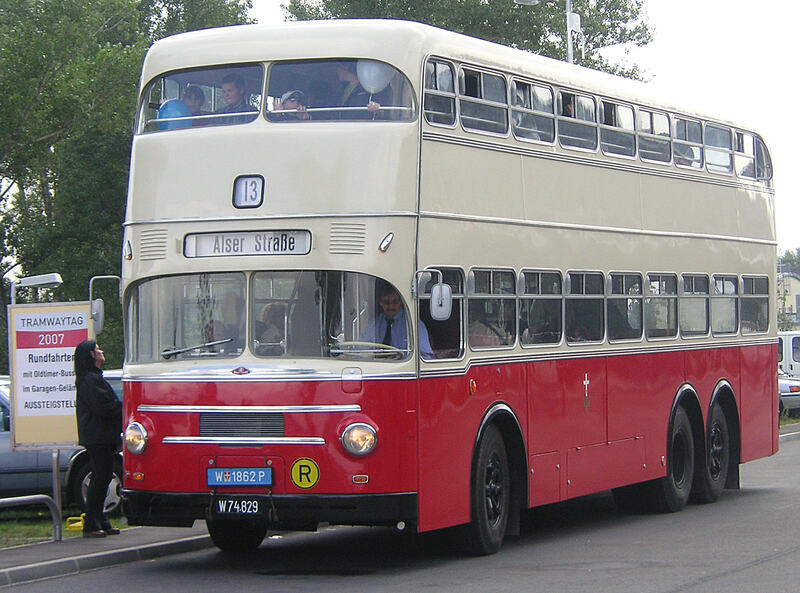 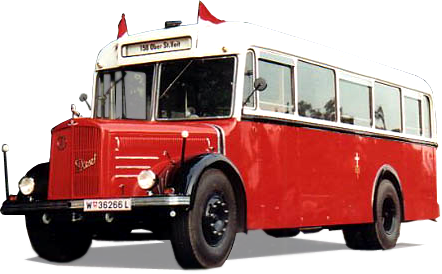 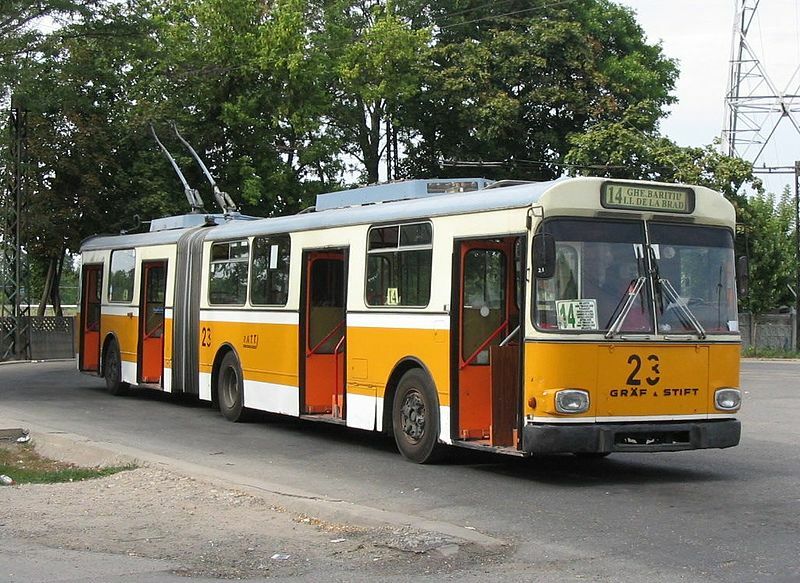 The company built its first trolleybuses in 1948. 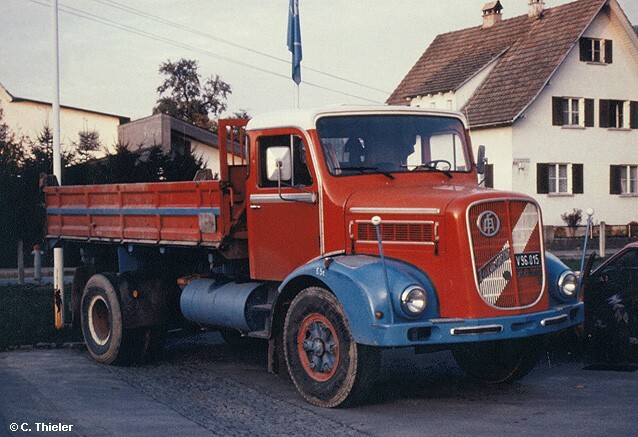 In 1971 the company merged with Österreichische Automobil Fabriks-AG (ÖAF) to form ÖAF-Gräf & Stift AG, which in turn was taken over by MAN AG the same year. 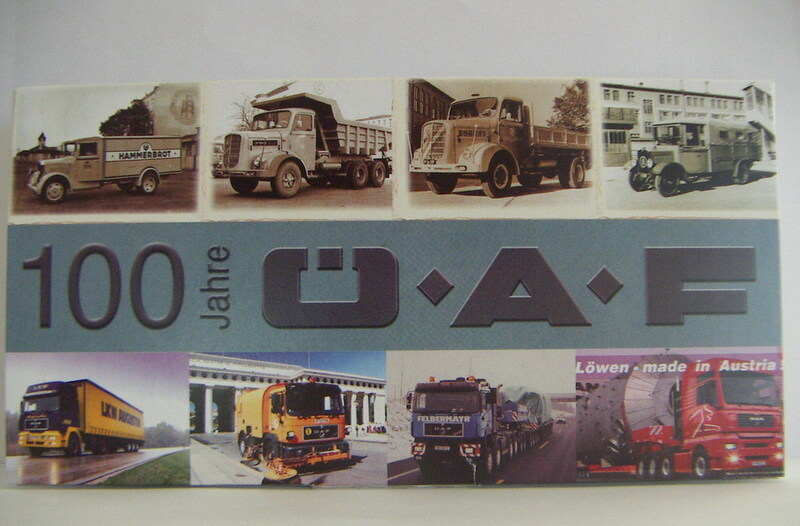 ÖAF-Gräf & Stift AG continued manufacturing under that name, as a subsidiary of MAN. 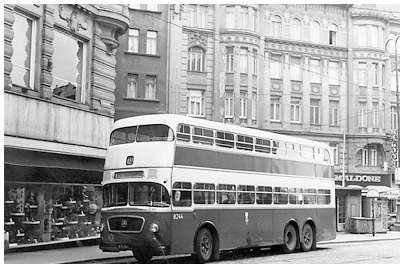 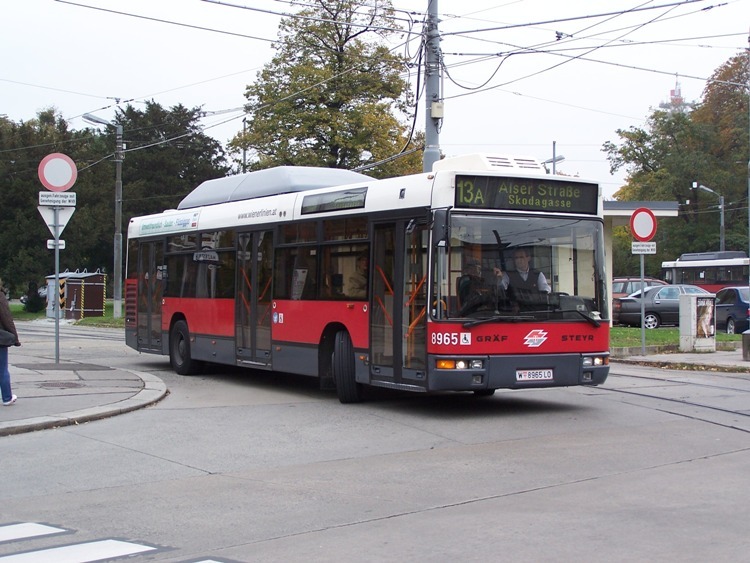 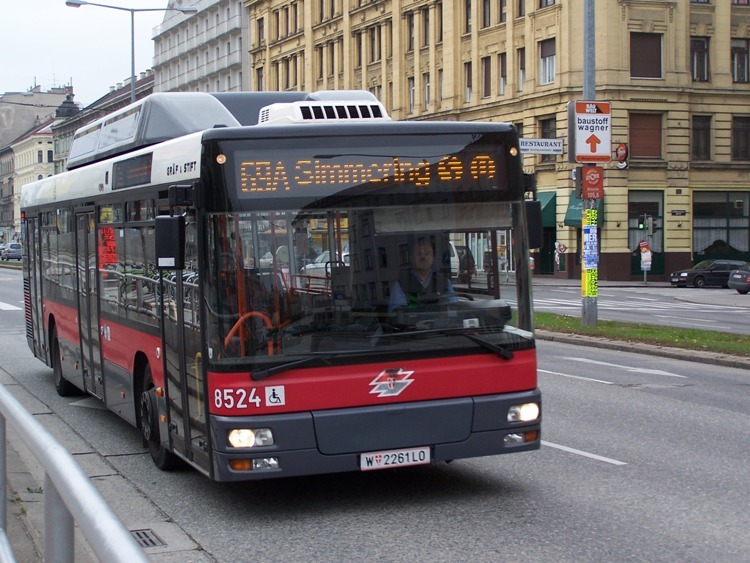 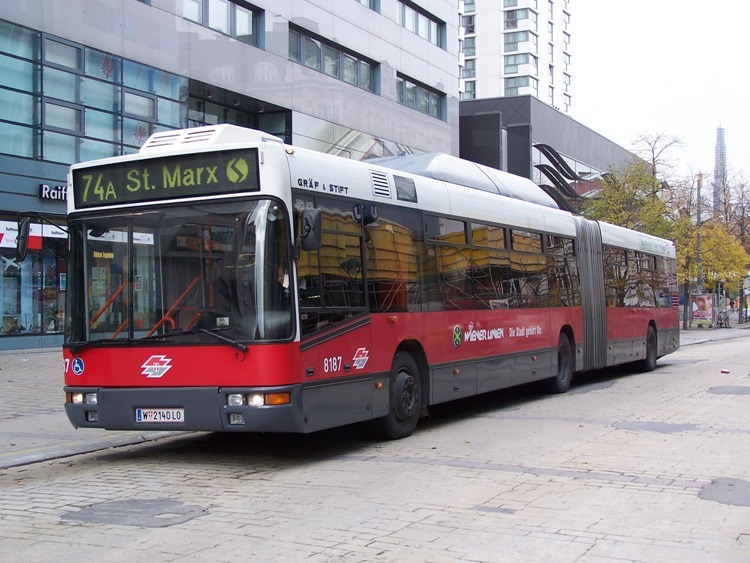 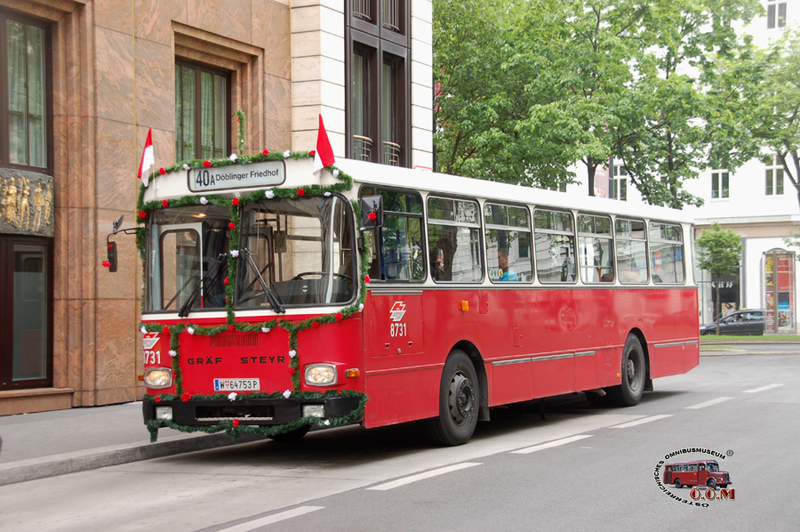 Still based in Vienna, it was focused on supplying trucks and buses for the Austrian market, mostly based on MAN designs, and additionally specialised in trolleybuses. 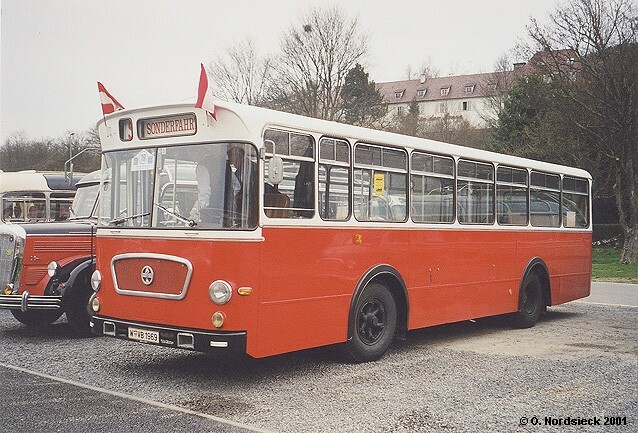 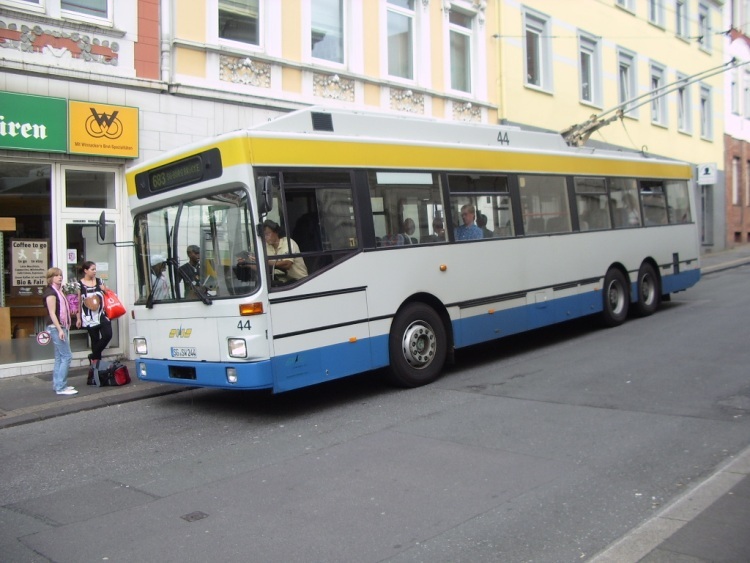 It was MAN’s main trolleybus producer in the 1980s and 1990s, and these were sold under the Gräf & Stift name, with trolleybuses’ being supplied to several European cities, including Salzburg, Solingen and Bergen(Norway), among others. 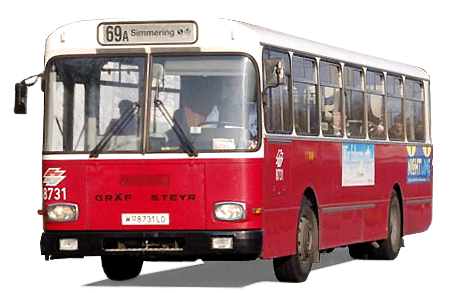 As of 31 December 2000, ÖAF-Gräf & Stift AG had 897 employees, and its sales for the six-month period from 1 July 2000 through 31 December 2000 (the company’s “Short Fiscal Year 2000”) totalled €111 million. 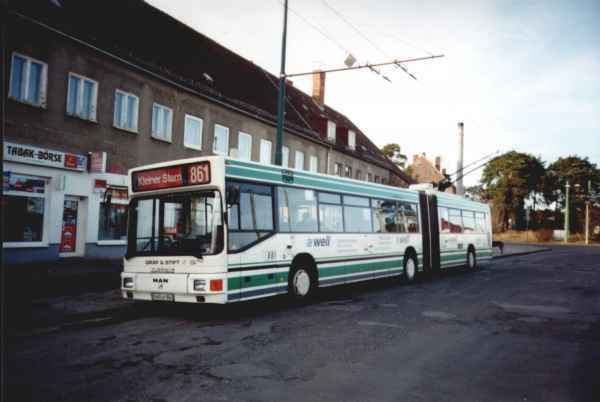 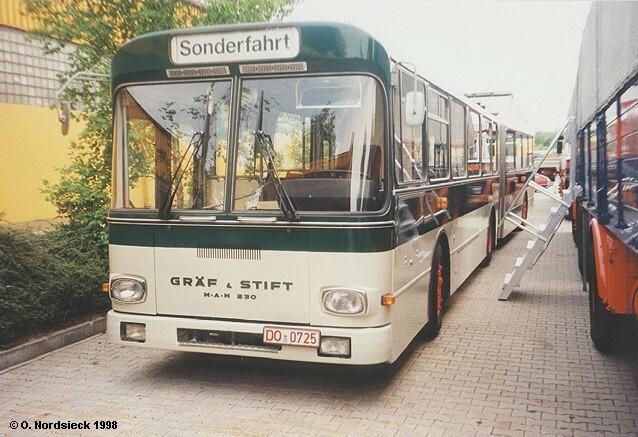 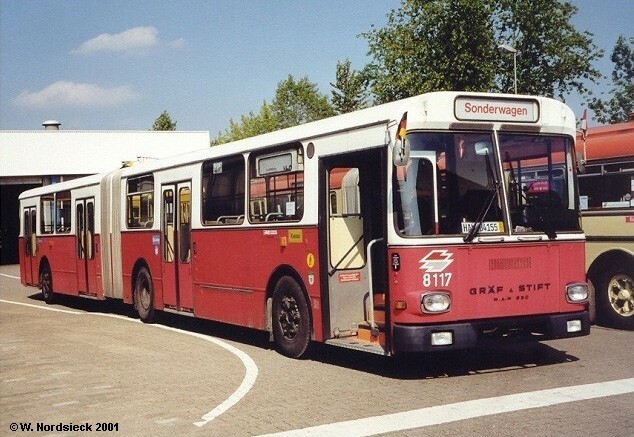 Use of the longstanding Gräf & Stift name ended in 2001, when MAN renamed the company MAN Sonderfahrzeuge AG, as part of reorganizations following its June 2001 acquisition of Neoplan. 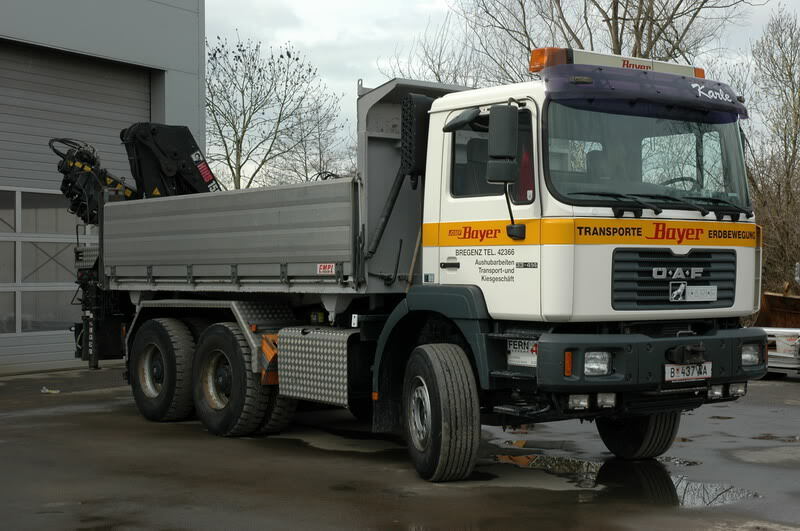 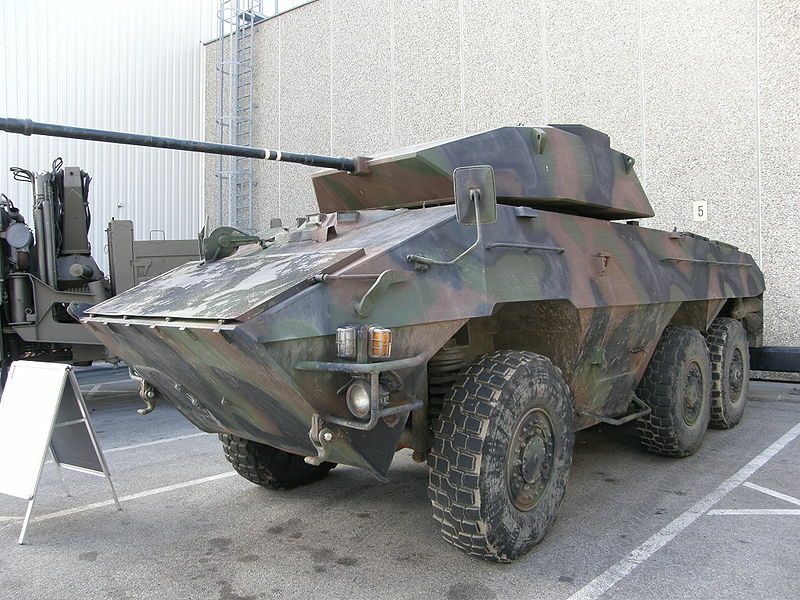 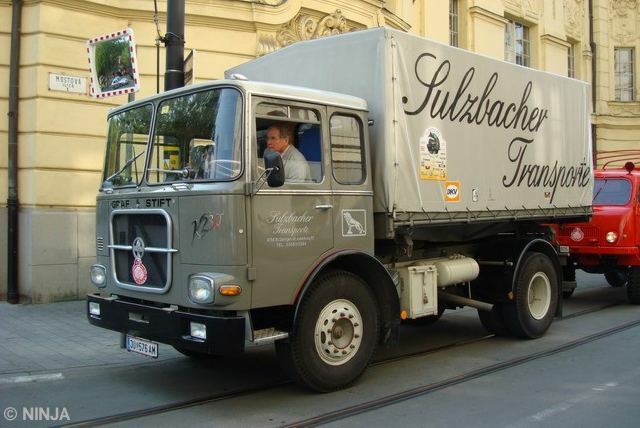 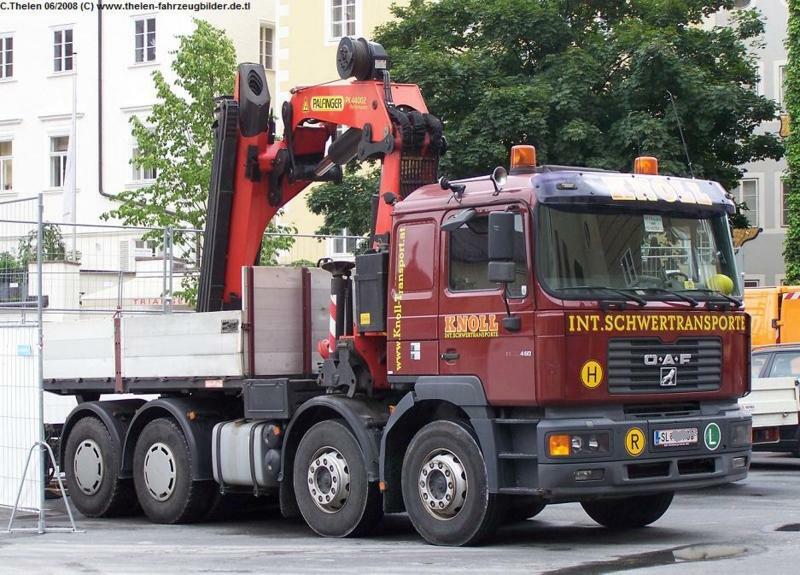 This in turn became MAN Nutzfahrzeuge Österreich AG in 2004. 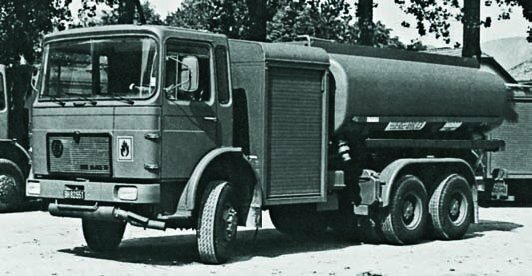 In that year, MAN built a new plant on Gräf & Stift’s original site in the Liesing district of Vienna and continues to be the biggest employer in the area. 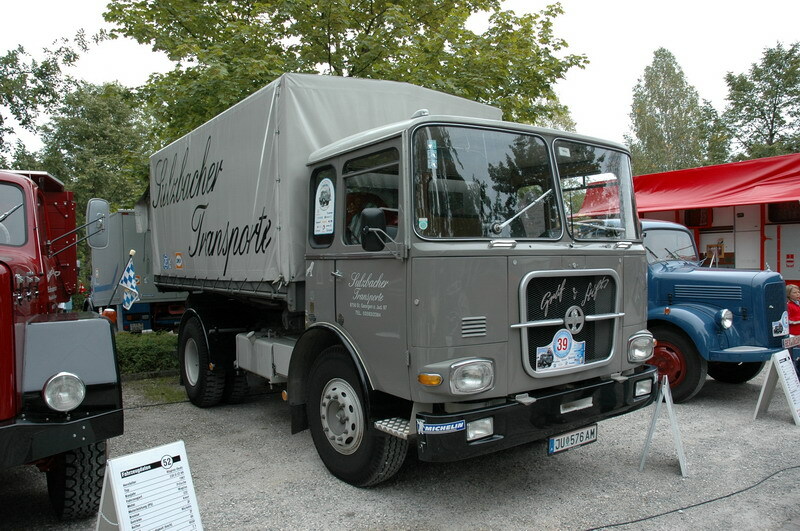 ÖAF was created by FIAT in 1907 and is now part of the German MAN group. 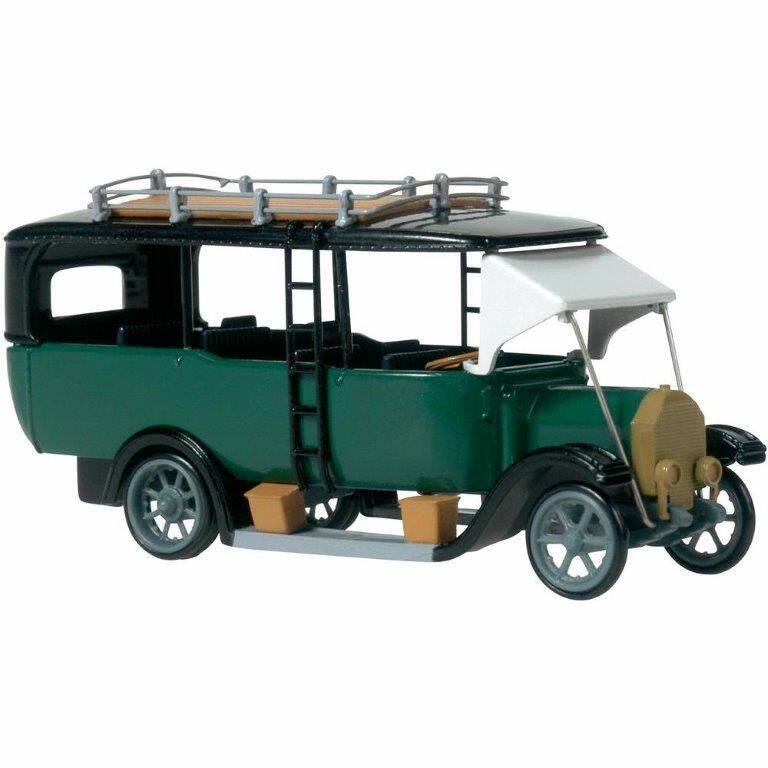 The manufacture of automobiles began in the new plant built for the occasion in Vienna in 1908, while the number was only 50 employees. 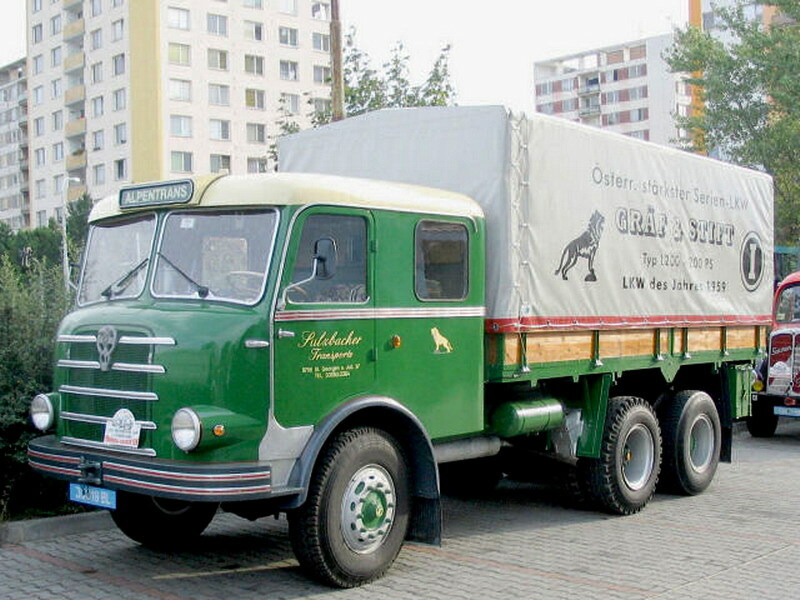 A truck of 4 tonnes, similar to the Italian Fiat model was manufactured from 1911. 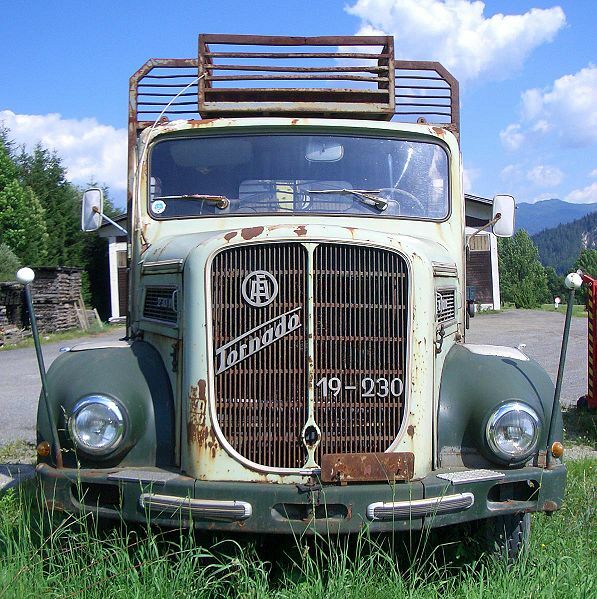 It was originally Austro-Fiat, which during the First World War began to develop their own products. 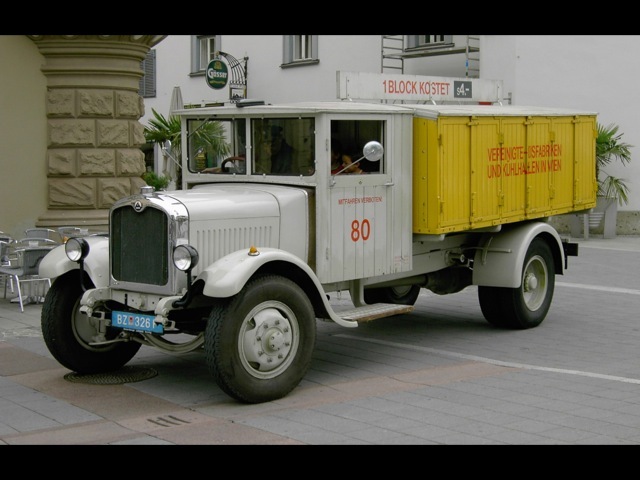 In 1925 the Austro-Fiat brand expired and the company became Osterreichische Automobil Fabrik AG, under the abbreviation ÖAF, with preservation of the trademark filed earlier. 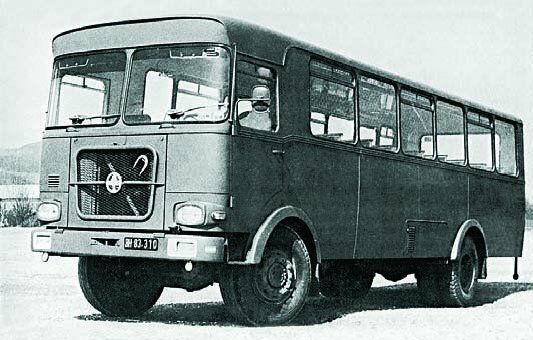 Also in 1925, a separate company took over sales of Italian FIAT cars, and Austro-Fiat became affiliated with Austro-Daimler and Puch. 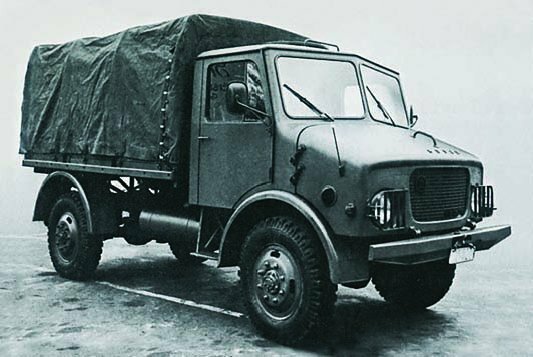 The last private car, Type 1001A, was different from the earlier Type 1001, having 34 bhp (25 kW) engines and conventional rear axles. 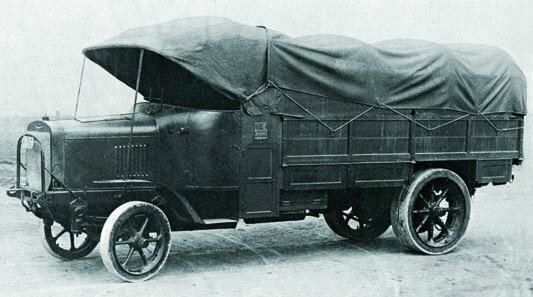 The latest model Fiat’s truck was TS 1924, equipped with a 45 hp (34 kW) Fiat engine. 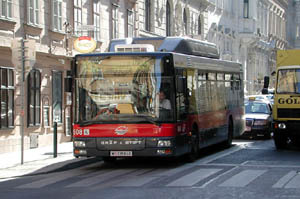 The company began production of other models in Austria, which has enabled the company to begin developing its own models. 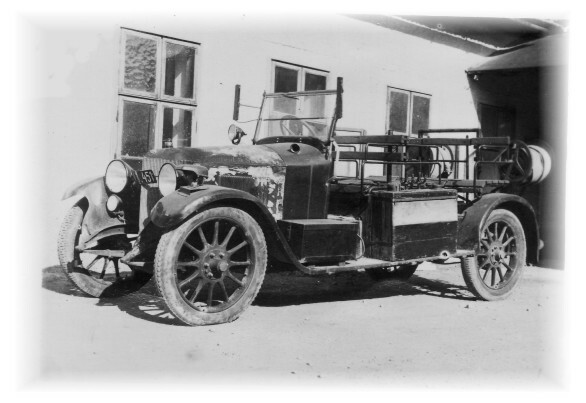 The most popular submitted in 1925 was the AFN light truck AFN with 1.75 tons of payload. 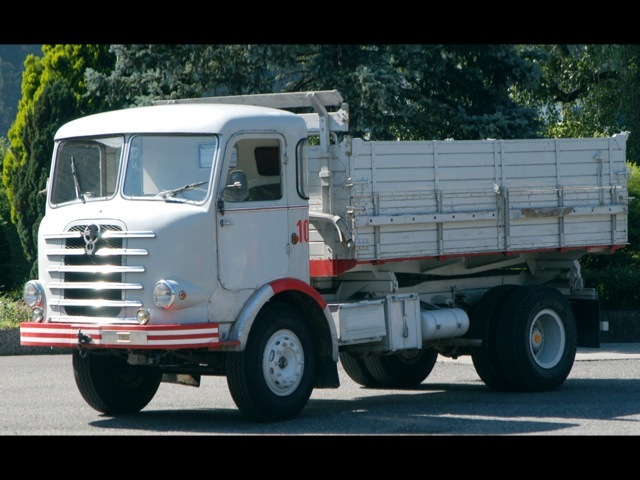 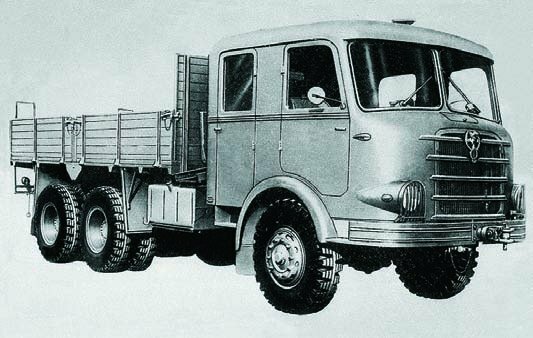 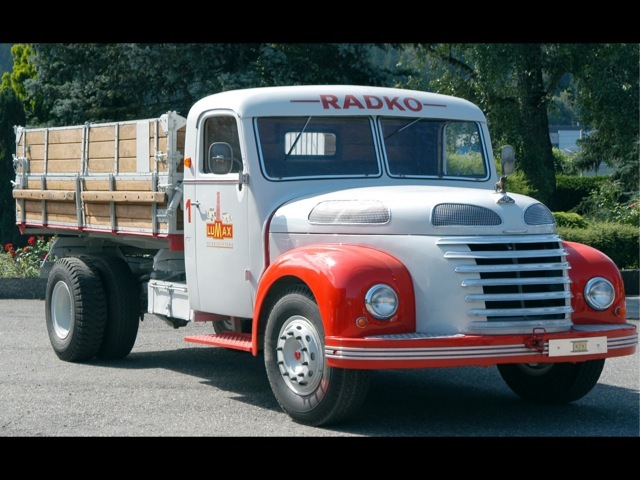 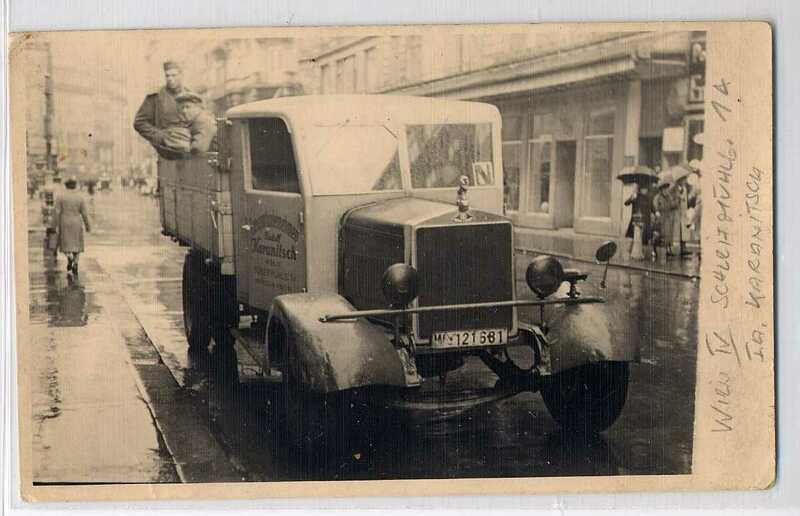 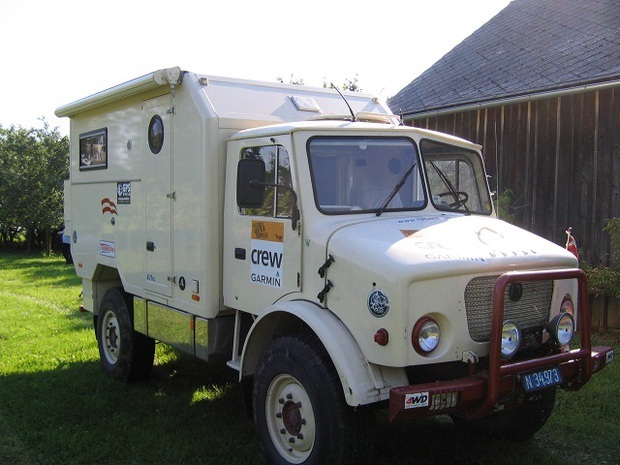 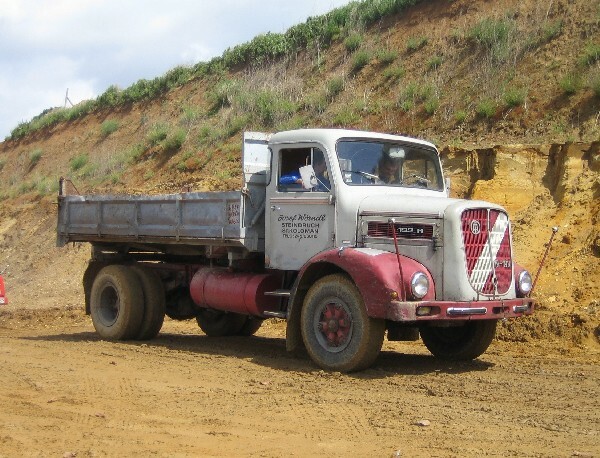 This truck used a 42 hp 4 Cylinder Fiat engine 2850 cc, it also used gimbals and real tires, not solid tires, which allowed for a speed of 65 km/h. 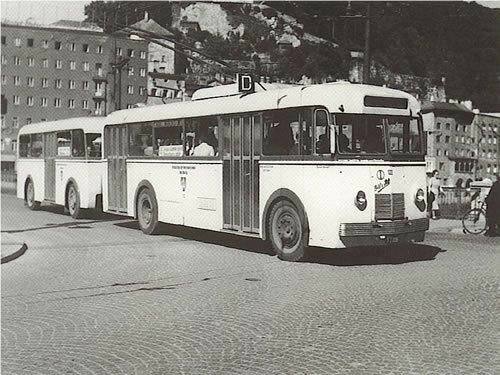 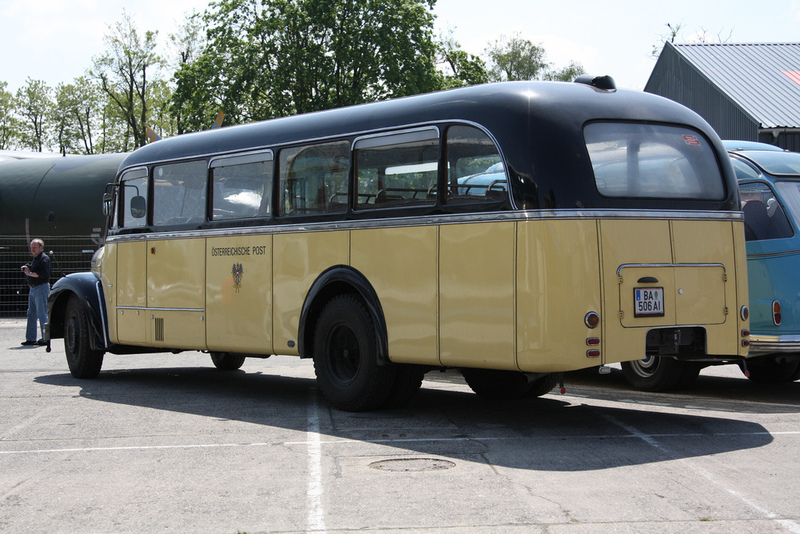 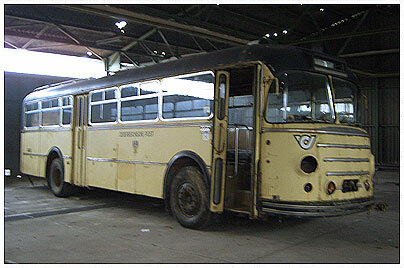 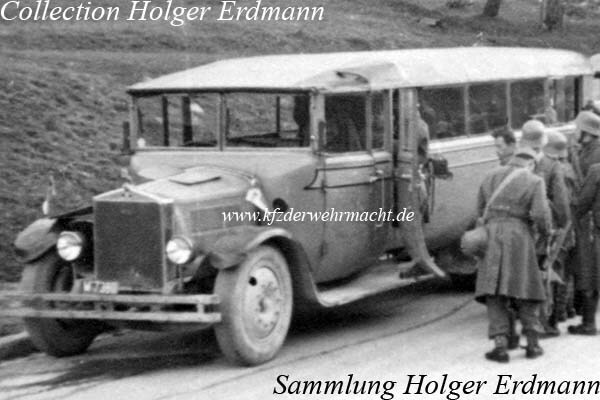 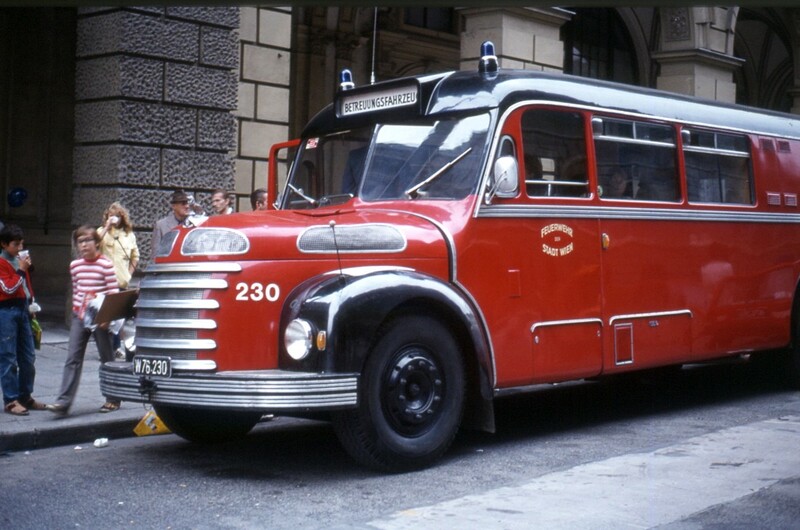 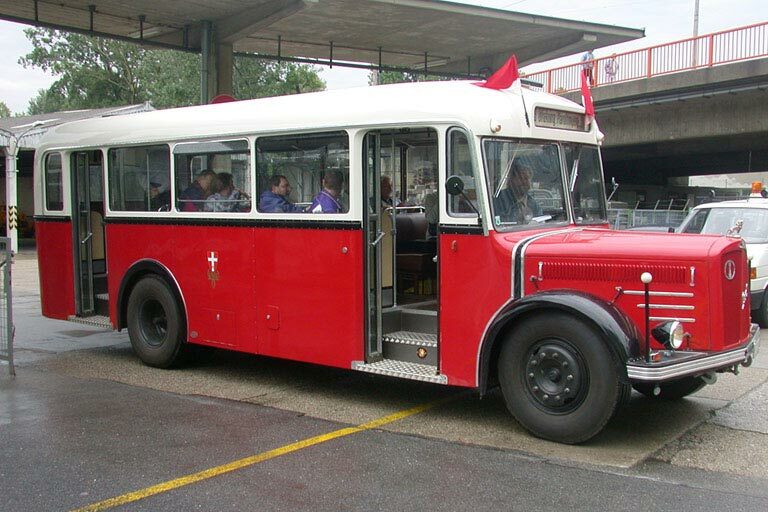 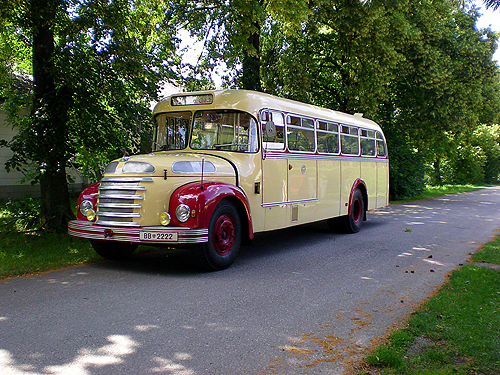 In 1928, the AF2 appeared and the following year a bus called the Austro-Fiat-1001. 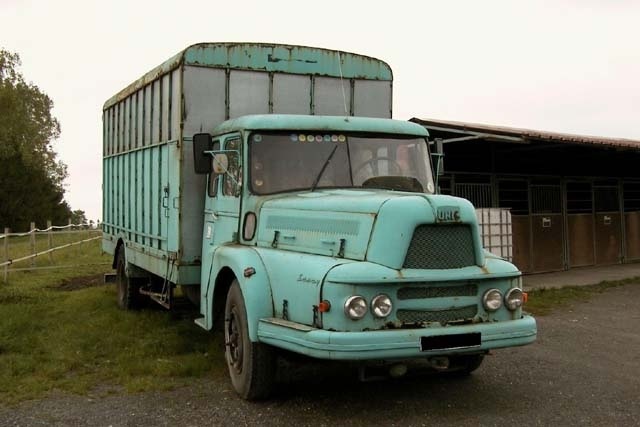 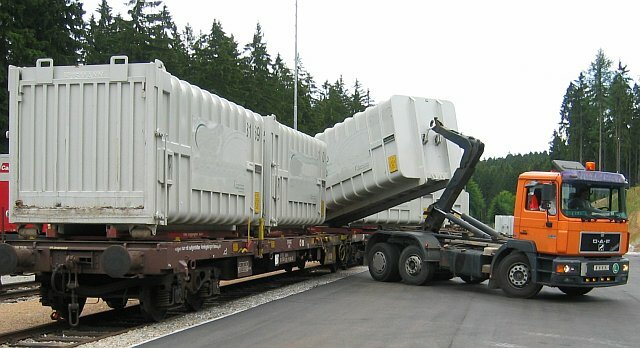 It is from this time that the company discontinued the manufacture of passenger cars to concentrate on commercial vehicles, trucks, vans and buses. 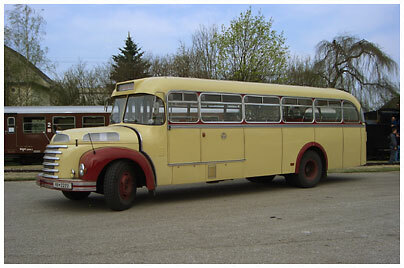 This allowed the AFL/AFY to be manufactured from 1930 to 1937. 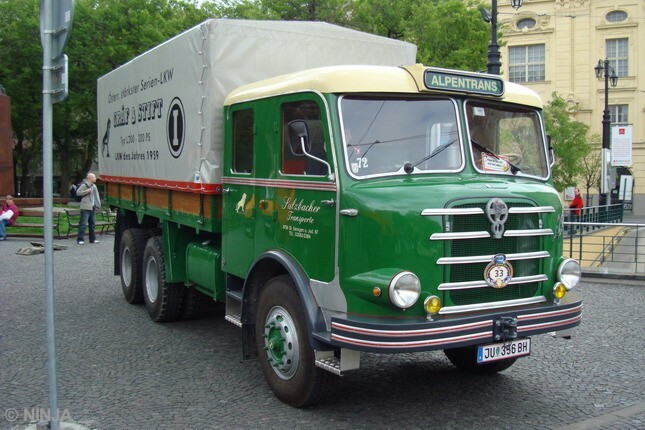 In 1938, when Austria was annexed by the Third Reich, German MAN obtained the majority of shares owned by Fiat in ÖAF, reducing the Italian firm’s share to 15%. 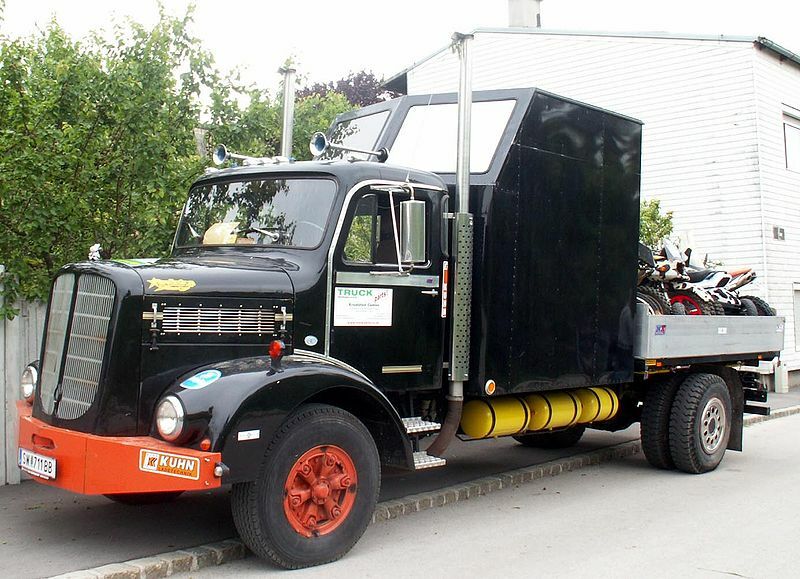 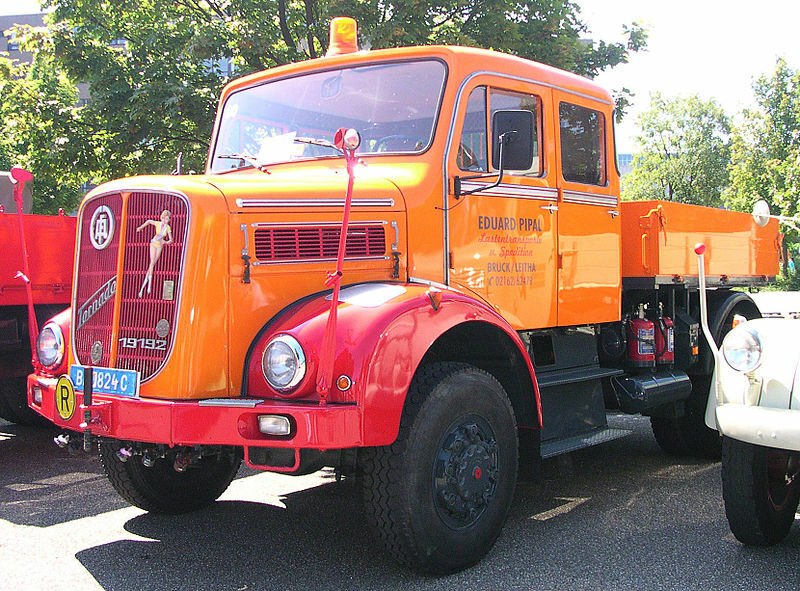 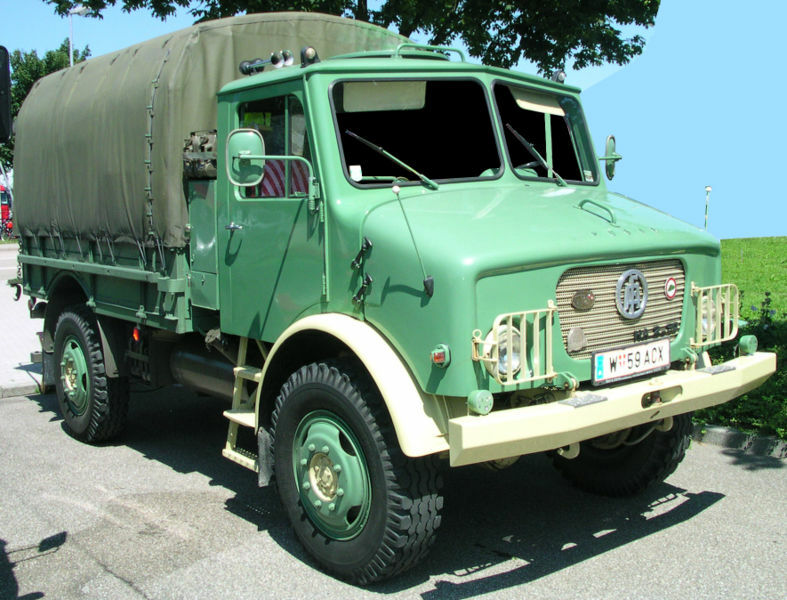 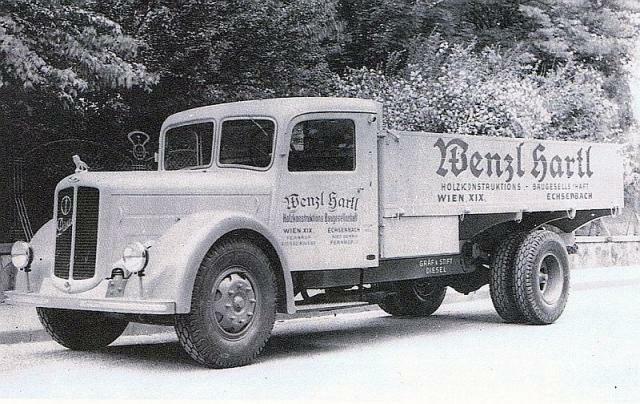 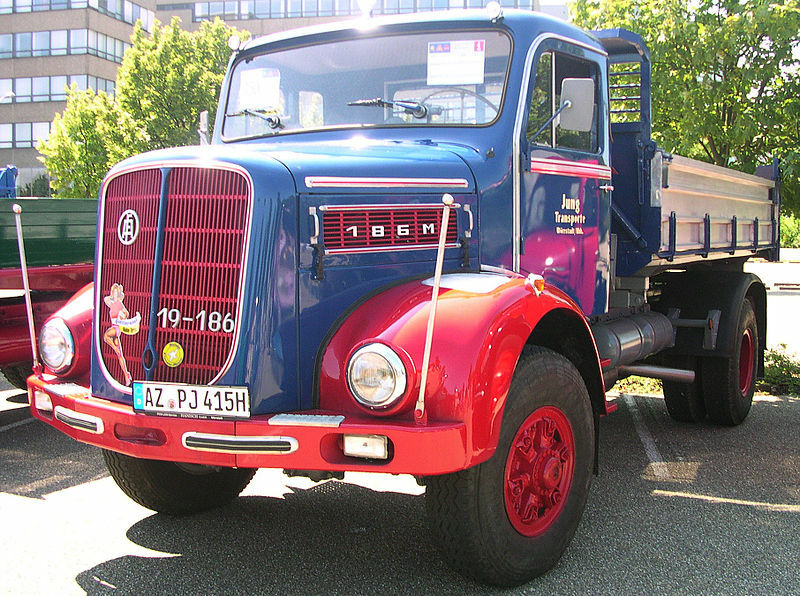 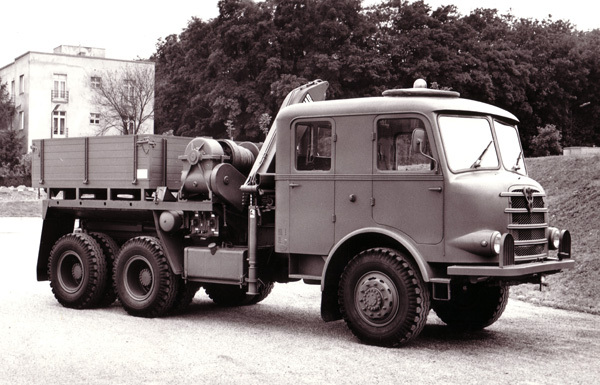 ÖAF had begun equipping some of its trucks with diesel engines from MAN in 1934. 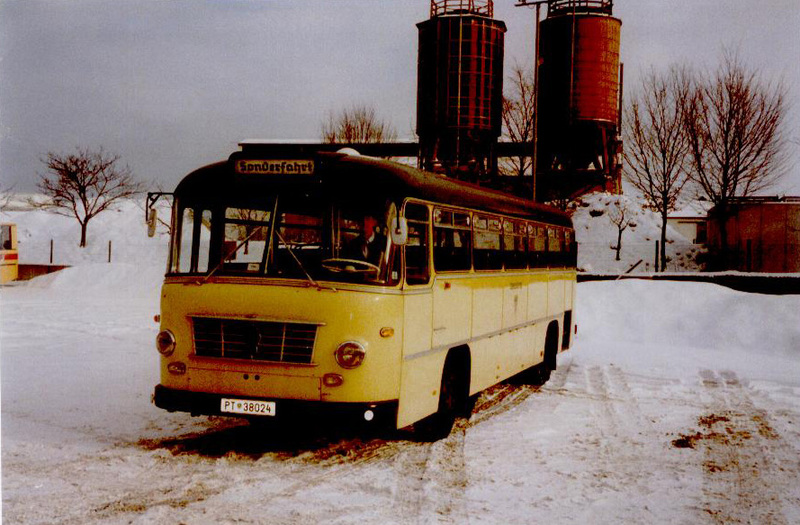 After the Second World War, the Floridsdorf factory was in the Russian zone and the plants were used for Russian reparations. 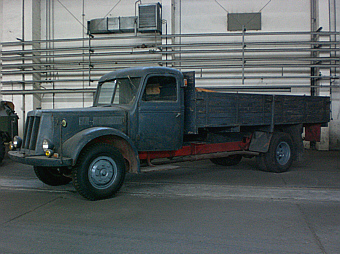 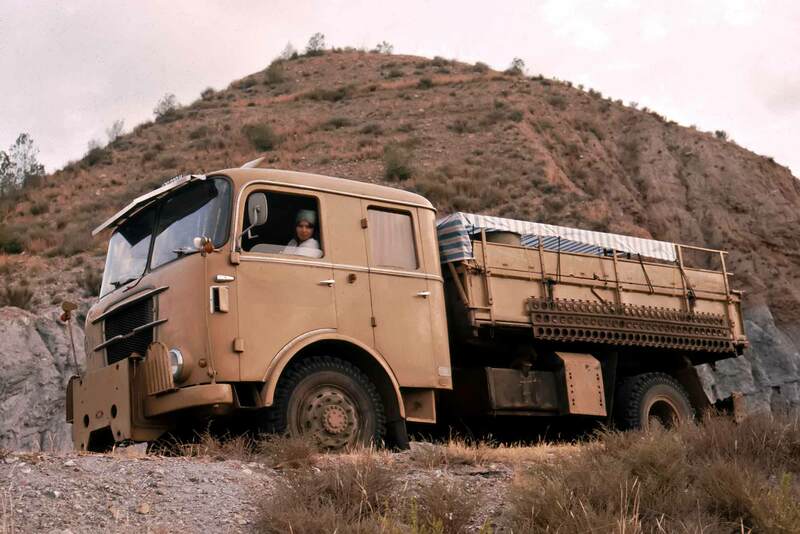 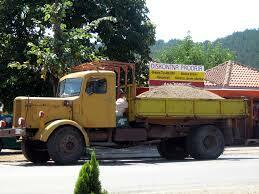 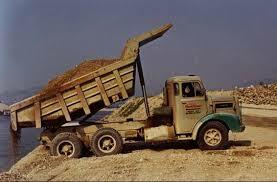 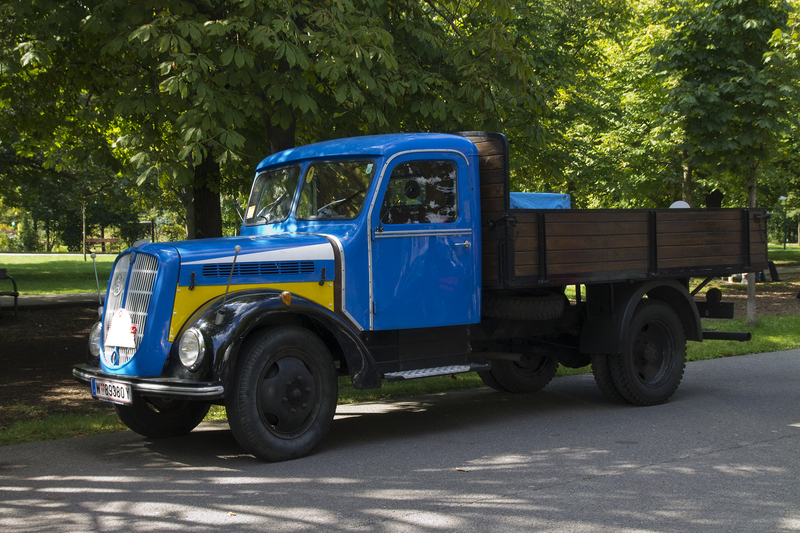 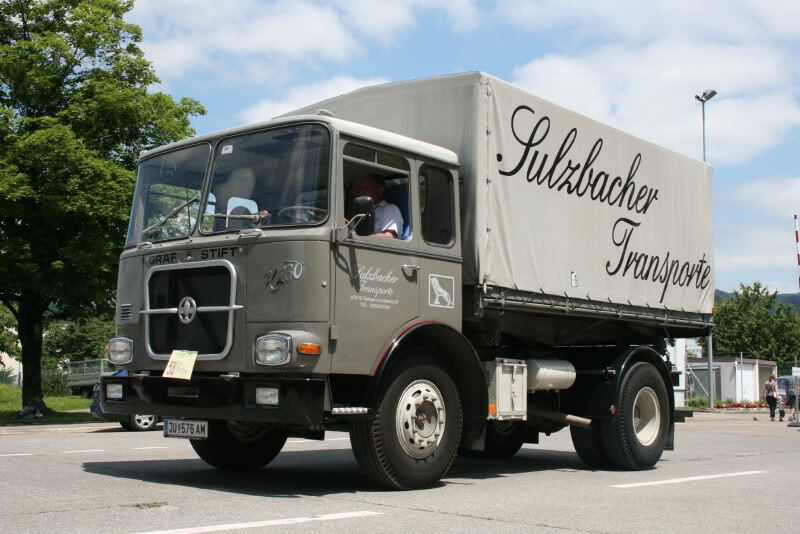 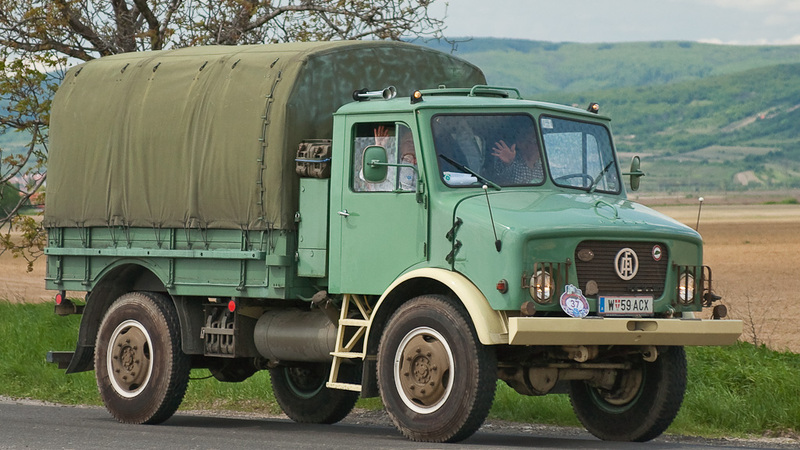 In 1955, ÖAF was released from these payments and the factory began producing trucks again. 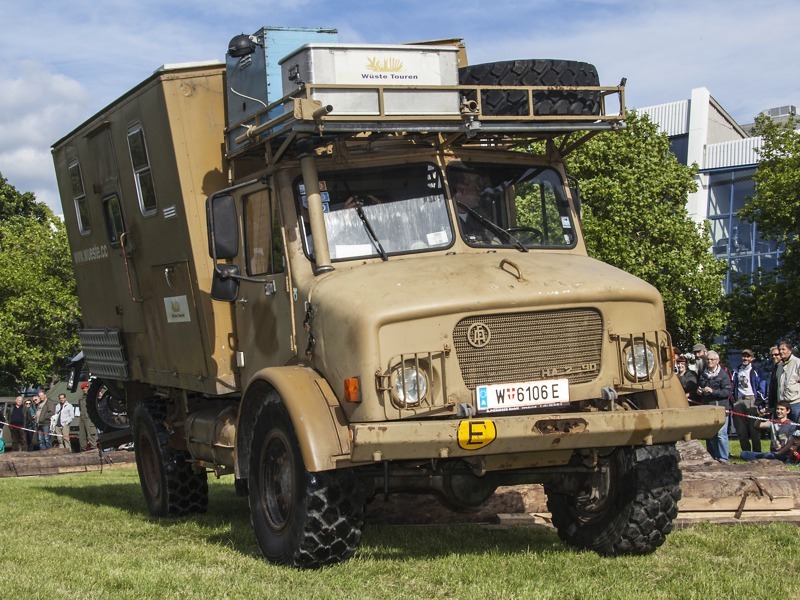 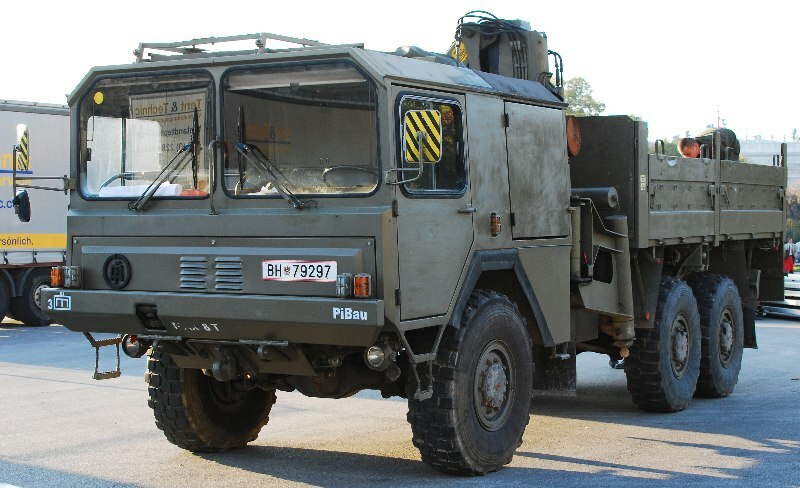 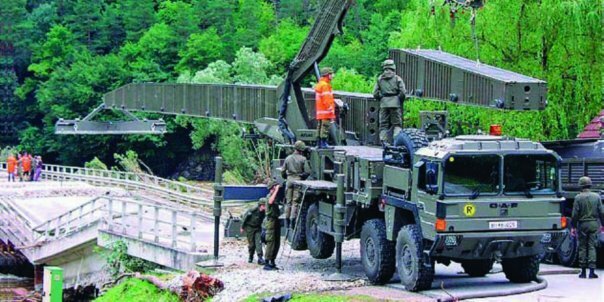 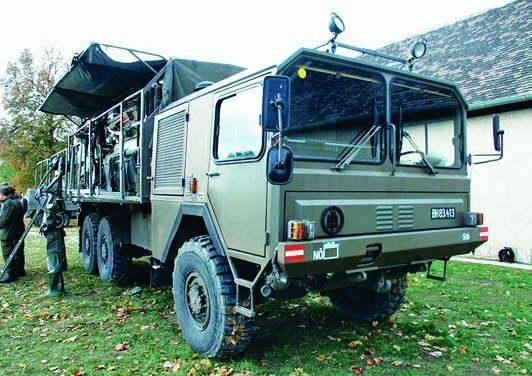 They went to Austria to build military trucks but the Austrian army eventually selected rival Steyr for its famous Pinzgauer. 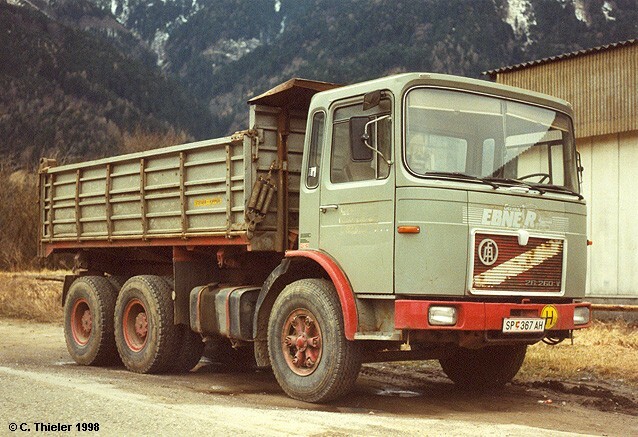 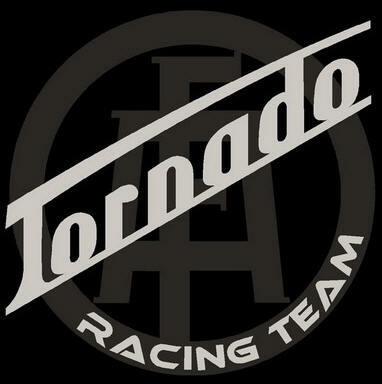 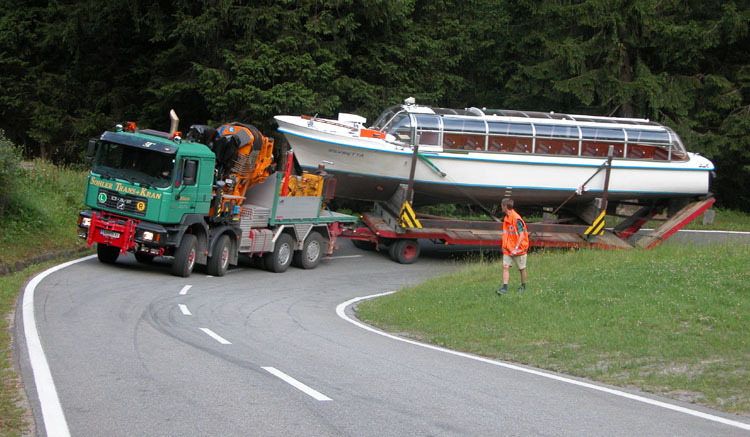 The Tornado was ÖAF’ s challenger, best-selling truck in Austria. 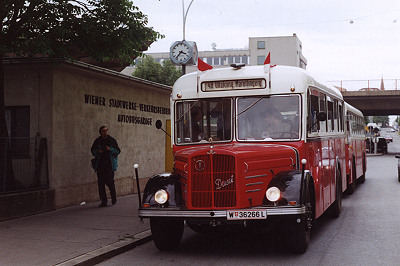 In 1970, the company was privatized again; MAN then let it merge with Gräf & Stift, out of which ÖAF Gräf & Stift arose which in 1971 was fully taken over by MAN. 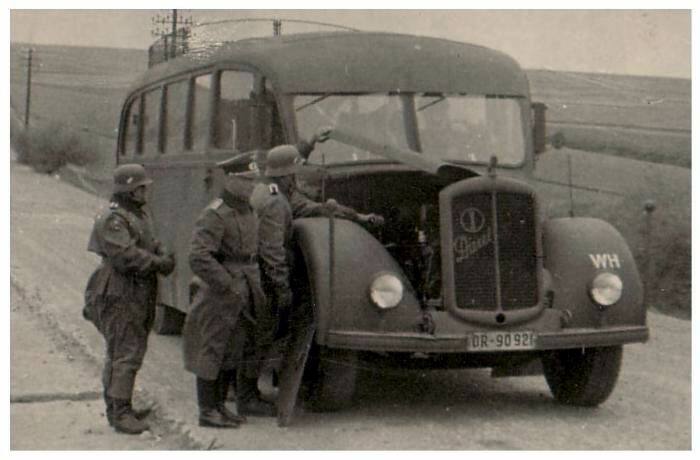 1940 Gräf & Stift model, 76k photo?